At the beginning of August, the 20th European Universities Debating Championship (EUDC), one of the world’s largest annual debating events, took place in Serbia. Almost 200 teams, representing universities from over 30 countries, participated in the tournament. One pair from the student debating club team, “Nomad,” Aigerim Shadeyeva and Dauren Binazarov, showed great results. They were the first Kazakhstani debaters to reach the “English as a Second Language (ESL)” quarterfinals. 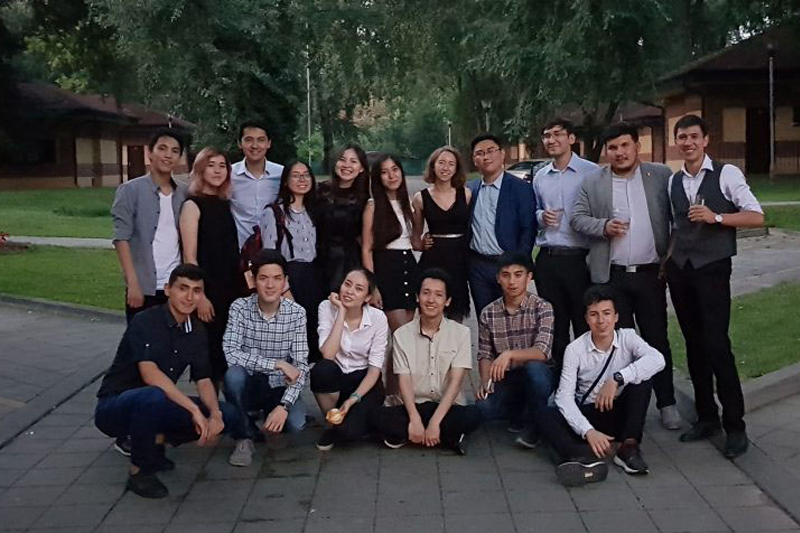 In total, five pairs from DC “Nomad” were competing: Malika Mamirova and Talgat Omarov, Gulnaz Tabynbayeva and Daulet Teginbayev, Viktoriya Tsoy and Nurzhan Onashabay, Adilet Akzholov and Alisher Juzgenbayev, and Aigerim Shadeyeva and Dauren Binazarov. Additionally, Dana Turgali, Aknazar Ali and Assel Ibadulla presented Nazarbayev University as adjudicators, and Olzhas Abdukhamitov was a volunteer.